Having just acquired my third dainty porcelain piece from the wonderful Etsy seller Alleluja, now I officially have a collection. 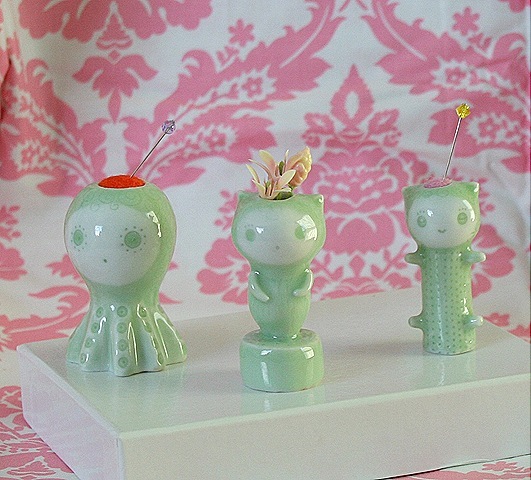 These diminutive creations are made of fine porcelain with a pale green shiny glaze. You can see a lot more of her gorgeous little creations here .